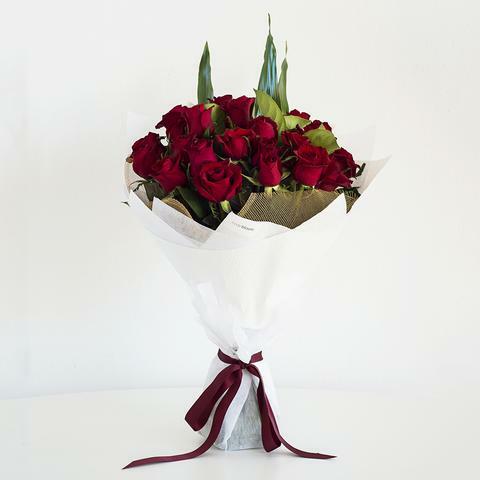 The ulitimate in romance, a simply stunning bouquet of 24 red roses, using maximum effect! With lavish wrapping, these roses look simply stunning mixed with spear grass and greenery. You can spoil your loved one further by adding a box of delicious luxury chocolates, sparkling wine or premium bottle of Veuve Clicqout.